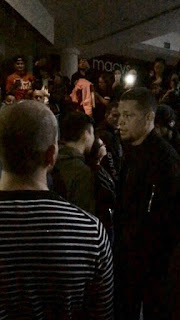 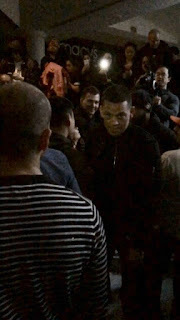 UFC fighter Nate Diaz was supposed to sign autographs from 4 to 5pm today but he showed up at 5:20pm and the mall was in the middle of a power outage so he had to sign posters in the dark. 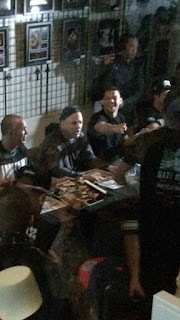 The line was very long and on two floors. The good news is that the crowd behaved for the most part and every fan got to meet Nate and get his autograph.